As Romanians, we draw our Christian faith from St Andrews’s activity, who preached on the territory between the Danube and the Black Sea, later on called Dobrudgea, known from the antique sources as “Scythia Minor”. In 106, emperor Traian (Trojan) conquered a part of the territory of the former state of the Gets-Dacians, headed by king Decebal, which was turned into a Roman province (Transylvania, Banat, Oltenia and a part of later on Muntenia). As a result of these political territorial changes, favourable conditions for promoting the new teaching in the north of the Danube, too, were created. One could speak of the so-called “informal missionaries” recruited from among colonists, soldiers in the Roman army, merchants and slaves who had adopted the Christian faith before coming to Dacia. In the 3rd century, the number of these “lay” missionaries increased due to certain Christian prisoners whom the Goths – established on the territory north of the Danube – used to bring here from Asia Minor, where Christianity was known as far back as the “apostolic century”. Some of them were ordained as bishops, chorepiscopi, priests and deacons. Several names of Christians who died a martyr’s death have been known ever since the Gothic persecutions, such as Sava, around Buzau town, in 372, a certain saint Nichita and a few others. In the province of Scythia Minor and on the territory close to it the number of the Christian martyrs during the persecutions of Diocletian, about 300, was very large. One can mention the following: Zoticos, Atalos, Kamssis and Filipos, all of them from Noviodunum (today’s Isaccea), whose relics have been discovered in a crypt in Niculitel, county of Tulcea (laid at present in the church of the Monastery of Cocos), Chiril, Chindeas and Tasius, at Axiopolis (today’s Cernavoda), priest Epictet and his converted disciple Astion, at Halmyris (today’s Dunavat), Macrobiu, Gordian, Heli, Lucian, Zotic and Valerian, Argeu brothers, Narcis and Marcelin, all of them at Tomis (today’s Constanta). There are other names mentioned, such as: the martyr soldiers Pasicrat, Valentin, Marcian and Nicandru and later on soldier Emilian from the town of Durostorum (today’s Silistra) at the boundary between the provinces of Scythia Minor and Moesia Inferior. Martyrs Quintilian, Maxim the reader and Dadas suffered in the village of Ozobia, near Durostorum. All the above mentioned information confirms the existence of a Church organisation on the Carpathian-Danubian territories. The historical sources proved that ever since the beginning of the 4th century, as soon as the Edict from Mediolanum was promulgated in the year 313, about 15 episcopal sees were documentary mentioned in various towns on the right bank of the Danube, in the provinces of Pannonia Inferior, Dacia Ripensis and Moesia Inferior (today in Serbia and, especially, in Bulgaria) – at Sirmium, Viminacium, Oescus, Bononia, Marcianopolis, Novae, Appiaria, Abbvitus, Durostorum, whose titular bishops participated in the proceedings of the Ecumenical or local synods. We suppose that these episcopal sees were even earlier than that, at about 300 A.D. During the persecution instituted by Diocletian, a large number of priests died a martyr’s death. Minor was a “metropolitan province” and its titular had become metropolitan, with 14 dioceses in the main towns of the province. All these episcopal sees – Tomis too – were directly related to the Patriarchate of Constantinople, the new capital city of the empire, a principle confirmed by a decision of the 4th Ecumenical Council from Chalcedon, in 451. Therefore, they were related to Rome, through language, and to Constantinople, through faith. There were also a few remarkable theologians from the same province, out of whom one could mention only two: Saint John Cassian (about 360-435), founder of two monasteries in Marsilia (today’s Marseille, France), the author of several theological works (Conversations with the Parents, On the monastic settlements with community life, On the Incarnation of the Lord a.s.o.) and Dionisius Exiguus (or the “humble one”, about 460-545), translator of some theological and canonical books in Greek, the one who laid the foundations of the present chronological system, counting the years since the birth of Christ (Christian Era). The massive spreading of Christianity on the territory between the Danube and the Black Sea is also confirmed by about 35 basilicas dating back from the 4th-6th centuries, discovered in the main urban centres of the province: Tomis, Callatis (today’s Mangalia), Tropaeum Traiani (Adamclisi), Histria (Istria), Axiopolis (Cernavoda), Troesmis (Iglitia), Dinogetica (Garvan) etc., as well as by more than one hundred inscriptions on objects with religious character, dating back from the 4th-6th centuries. The data concerning this period are rather scarce. However, the continuity of the Christian life is confirmed by the archaeological discoveries: six churches in a chalk mountain in Basarabi, county of Constanta, certainly a monastic settlement (dating from the 9th -11th centuries, according to certain historians from the 4th -12th centuries), foundations of two churches in the north of Dobrudgea, one in Niculitel (10th -12th centuries), another one in Garvan (former Dinogetia), from the same period. Several crosses and even cross moulds were discovered in various parts of the country, beyond the Prut river, too. The foundations of a church were discovered in Dabaca, about 30 km north-west of Cluj-Napoca (10th -11th centuries), and some others under the Catholic churches in Alba Iulia and Prejmer, country of Brasov, etc. These discoveries are not only indubitable evidence on the continuity of the Orthodox Romanians in these territories, but also certain proofs of the necessity of some Romanian bishops. After the invasion of Transylvania by the Hungarian Catholic kingdom (11th – 13th centuries) the so-called “counties” (Bihor, Alba, Hunedoara) were set up instead of the old Romanian political units. The same happened to the Romanians’ religious structures; Hungarian Catholic dioceses were set up instead of the Orthodox dioceses. So, once the “county” in Bihor was set up, with the residence in Biharea, a Latin diocese was created instead of the Orthodox one, that would soon be moved to Oradea, where it remained until more recently, which is also confirmed by some of the Hungarian historians. The seat of Alba county was established in Alba Iulia, where a Roman Catholic diocese was created and which still exists today, instead of the Orthodox one. The Catholic diocese of Morisena (Cenad) was created by king Steven the Saint of Hungary, in 1038, after conquering the city from prince Ohtum or Ahtum (it was also there that Latin monks were brought, in the Orthodox monastery of Saint John the Baptist). So, the Catholic dioceses in Transylvania have been set up on the very places of the old Orthodox episcopal or chorepiscopal sees from Biharea (Oradea), Alba Iulia and Morisena – Cenad. The phenomenon concerning the replacement of some Orthodox churches and monasteries with Catholic ones can be seen also in other parts of Transylvania. The religious organisation of the Romanians survived in spite of the policy of Catholicization waged by the kings of Hungary, many times instigated by the pope himself. For instance, a letter of pope Inocentius III to the Archbishop of Calocea, in 1205, mentioned an Orthodox diocese “on the estate of knyaz Balea’s sons”. This diocese could have been either round Bihor or round Hunedoara, where knyazes with this name ruled, some of them founders of churches. In the first half of the 14th century, the state unification of the political units, present in the south and east of the Carpathians, under one ruler, took place. At the same time with the unification of the Romanian knyazates and voivodships in the south of the Carpathians into one independent state, Wallachia, and after the formation of the second state, Moldova, in the east of the Carpathians, the religious unification of the two Romanian independent states took place. Thus, instead of several hierarchs depending on each voievodship, only one was elected, with the name of metropolitan. 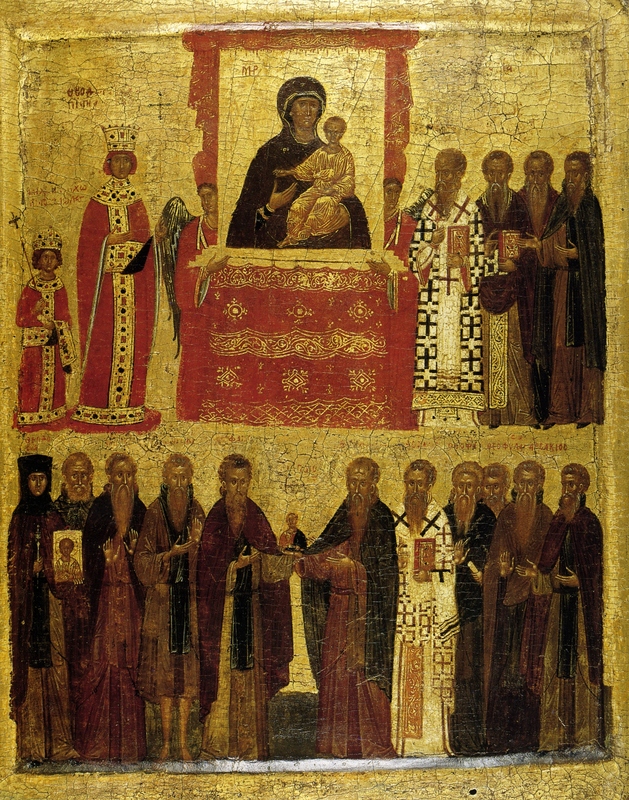 In 1359, the Ecumenical Patriarchate recognised officially the Metropolitanate of Ungro-Wallachia or Wallachia, with the see in Arges and its hierarch Iachint, who had been metropolitan of Vicina, in the north of Dobrugea until then. The metropolitanate was moved, in 1517, to Targoviste, and in 1688 to Bucharest, where it remained until today. From 1370 – 1401, the new Metropolitanate of Severin functioned in the territory on the right side of the Olt River. At the beginning of 16th century, the Dioceses of Ramnic and of Buzau were set up, which are still functioning today. From 1793-1949, a Diocese of Arges functioned, reactivated in 1990. The Metropolitanate of Moldova was first mentioned in 1386. Its confirmation was hardly accepted by the Ecumenical Patriarchate, which intended to impose a Greek hierarch, whereas the country wanted a Romanian one. It was only on 26 July 1401 that the Moldavian Iosif – ordained at Halici and related to the ruler of the country – was recognised as metropolitan. The seat of the Metropolitanate was in Suceava, while in the second half of the 17th century it was moved to Iasi. 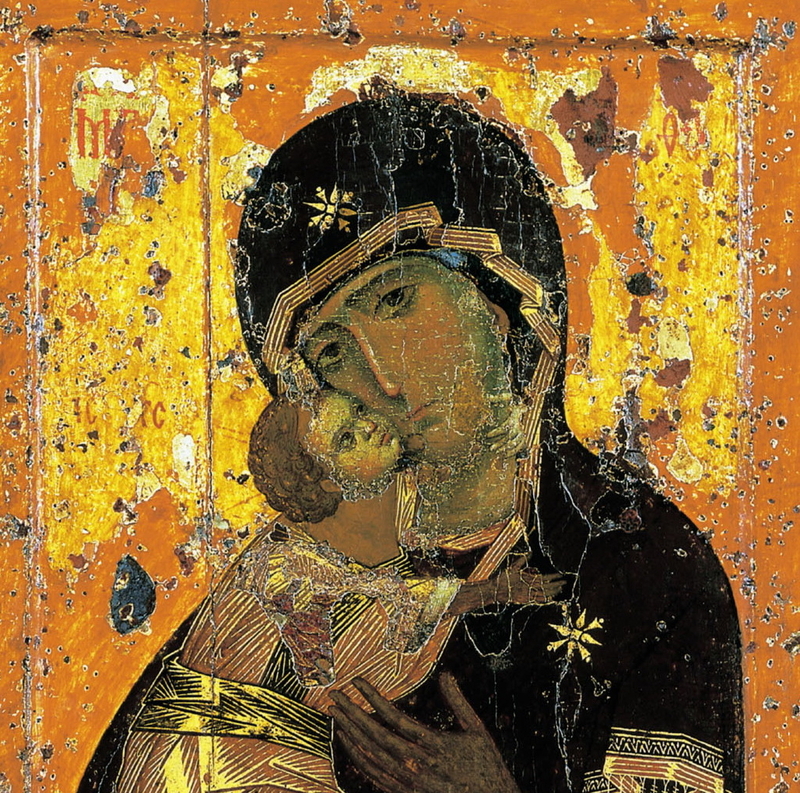 It is necessary to underline that in the 14th – 18th centuries the Church in Wallachia and Moldova should be considered as an official State Church – a legacy of Byzantium – holding an important role in the political life of the country and guiding the entire cultural activity and social humanitarian assistance. Our first printing houses (in Dealu, Targoviste, Colentina-Bucharest, Govora, Campulung, Iasi, then in Bucharest, Buzau, Snagov, Ramnic, Monastery of Neamt) functioned in the precincts of a few monasteries or diocesan seats and the first printers were also clergy: hieromonk Mitrofan, future bishop of Husi and Buzau, Antim Ivireanul, the future metropolitan and so on. There is certain evidence that, in Transylvania – organised as “voievodship” until 1541 – there were some Orthodox archbishops and metropolitans ever since the first quarter of the 14th century. Thus, rather recently, an inscription was discovered in the church of the Monastery of Ramet (county of Alba) mentioning the name of bishop Ghelasie and the year 1377. As soon as Alba Iulia became the capital town of the autonomous principality of Transylvania – set up in 1541, when Hungary was turned into an Ottoman province – the seat of the Metropolitanate of Transylvania was established in this town (perhaps in 1572), where it remained until the beginning of the 18th century. Here one can mention the pastoral service of the following metropolitans: Ghenadie I (1579-1585), a supporter of deacon and printer Coresi form Brasov, Ioan from Prislop (about 1585 – 1605), in whose time Michael the Brave built a new cathedral and a metropolitan residence in Alba Iulia (1597), Teoctist (about 1605, who died in 1622), Ghenadie II (1627 – 1640), Ilie Iorest (1640-1643; +1678), defender of Orthodoxy, Simion Stefan (1643-1656), in whose time the New Testament from Alba Iulia was printed, in 1648, in its first Romanian edition, Sava Brancovici (1656-1680, +1683), fighter against all attempts to convert the Romanians or other people to Calvinism. Due to their steady fight to defend Orthodoxy, and according to a synodal decision, metropolitans Ilie Iorest and Sava Brancovici were canonised in 1955. As soon as Transylvania came under the Habsburgs’ rule (1688-1918), a little part of the Romanian clergy and faithful were obliged, through pressure and deceit, to accept the “union” with the Church of Rome (1698-1701), at the time of metropolitan Atanasie Anghel. Consequently, a “split” in the Romanian Church appeared, although only formal, as besides the admittance of the papal primate, all the doctrine, rite and organisation of the United Church remained unchanged. Several monks, priests and faithful defended Orthodoxy, out of whom one can mention: hieromonk Visarion Sarai (1744), who died in Kufstein prison, in Austria, hieromonk Sofronie from Cioara, leader of a peasants’ upheaval between 1759-1761, peasant Oprea Miclaus from Salistea Sibiului, who travelled three times to Vienna with petitions of the Orthodox Romanians and who died in Kufstein, priests Moise Macinic from Sibiel and Ioan from Gales, who died in the same prison, hieromonk Nicodim, archpriest Nicolae Pop from Balomir and priest Ioan from Aciliu, who travelled to Petersburg to get the assistance of tsarina Elisabeta Petrovna for the Romanians persecuted for their faith, archpriest Ioan Piuaru from Sadu, priest Stan from Glamboaca, faithful Ioan Oancea from Fagaras, faithful Tanase Todoran from Bichigiu, Nasaud, broken on wheel – who was canonized in 2008 – and hundreds of other priests and faithful imprisoned or displaced from their villages. Taking into account their firm fight for defending Orthodoxy, the Holy Synod of the Romanian Orthodox Church decided that hieromonks Visarion and Sofronie, as well as faithful Oprea Miclaus be honoured by our Church as confessors of the right faith. In 1992 priests Moise Macinic from Sibiel and Ioan from Gales were listed among saints. All five are celebrated on October 21. Schools for the children in the adjacent villages used to function, just like beyond the Carpathians, in the precincts of certain monasteries and churches in Transylvania and Banat. A Romanian school of old tradition was the one in the precincts of the church of Saint Nicholas in Scheii Brasovului; most of its pupils became priests at the respective church. Due to their low income, the monasteries could never develop a cultural charitable activity equal to that of the monasteries beyond the mountains. In fact, from 1761-1762, most of the monasteries and sketes present in Transylvania at the time (more than 150) were destroyed by cannons or set on fire, by order of general Nicolai Adolf Bukow, the envoy of Maria Tereza, empress of Austria. Practically, any trace of monastic life disappeared in Transylvania after that period. The Revolution with national and social character from 1821, which led to the creation of the Romanian modern state, opened a new epoch for the Romanian Orthodox Church. In January 1859, a first stage of the Romanian political unification took place, through the unification of Moldova and Wallachia, under a single ruler, Alexandru Ioan Cuza (1859-1866). On January 11, 1865, metropolitan Nifon of Ungro-Wallachia received the title of “metropolitan primate”. At the time of Alexandru Ioan Cuza, a series of measures were taken which led to deep changes in the religious life, required by the changes occurred in the state life (for example, the secularisation of the monasteries’ properties in 1863). After the proclamation of the state independence of Romania (May 9, 1877), new negotiations with the Patriarchate followed, in view of recognising the autocephaly that was only a formal act, as the Romanian Church had enjoyed a special situation in comparison with other Orthodox Churches, that of a relative autocephaly towards the Ecumenical Patriarchate. It was only just on April 25, 1885, that the ecumenical patriarch Ioachim IV gave the usual “tomos” to acknowledge the autocephaly of the Orthodox Church in Romania. The Romanian Church in Bukovina (Diocese of Cernauti) was raised to the rank of metropolitanate in 1873, while the Habsburg authorities hindered its relations with all the other Romanian dioceses. The most remarkable metropolitan was Silvestru Moraru Andrevici (1880-1895). The Church in Moldova beyond the Prut River (Bessarabia, passed under the Russian rule in 1812) constituted itself into an Archdiocese, seated in Kishinev, its first ruler being the Romanian Gavriil Banulescu Bodoni (1812 – 1821) (he was metropolitan of Poltava for a time), in whose time a Theological Seminary was set up in Kishinev and a new Romanian edition of the Bible was printed in Petersburg. The Orthodox Church in Transylvania was ruled, in this period, by the great hierarch Andrei Saguna, an Aromanian (vicar in 1846, bishop in 1848, who was metropolitan between 1864 – 1873). He succeeded in re-establishing the old Metropolitanate of Transylvania, in 1864, seated in Sibiu this time, with two related dioceses: in Arad and in Caransebes (the last one set up in 1865). Saguna organised differently the Metropolitanate, through the well-known Organic Statute in 1868, and then headed the Church in Transylvania until after 1918, his principles constituting the basis of the religious rules in the entire Orthodox Church in the reunited Romania. Theological education developed through the Seminaries in Socola-Iasi (1803), Bucharest, Buzau, Arges (1836), Ramnic (1837), Husi (1852), Roman (1858), Ismail-Galati (1864), through the Faculties of Theology in Iasi, for a short period (1860-1864); then through those in Cernauti (1875, instead of the old Theological Institute set up in 1827) and in Bucharest (1881). In Transylvania, Theological Seminaries and Institutes were set up in Blaj (1754), Sibiu (1811), Arad (1822) and Caransebes (1865). Period 1914 – 1918. The Union of Transylvania, Bessarabia and Bukovina with old Romania – by which the Romanian unitary state was created – brought about a series of changes in the life of the Church. The hierarchs from the territories included became members of the Holy Synod from Bucharest, and, on December 18 / 31, 1919, the Transylvanian Miron Cristea, who had been bishop of Caransebes until then and one of the great supporters of the Union, was elected metropolitan primate. Soon after that, the proceedings for the religious unification began, which was concluded on May 6, 1925, when the Law and Statute for the organisation or the Romanian Orthodox Church were promulgated. On February 4, 1925, the Holy Synod decided to elevate the Romanian Orthodox Church to the rank of Patriarchate and to raise the metropolitan primate to that of patriarch. The law for setting up the Patriarchate was promulgated on February 25, 1925, and on November 1, 1925, the enthronement of the first patriarch Miron Cristea (1925 – 1939) took place. His successor was patriarch Nicodim Munteanu (1939-1948), author of many original theological works and translator from the Russian theological literature. During the pastoral rule of these two patriarchs, a few new dioceses were set up (in Oradea, Cluj, Constanta, Maramures, Timisoara and a missionary Diocese for the Romanian Orthodox faithful in America). On the eve of the World War II, the Romanian Patriarchate had the following administrative-territorial organisation: I. Metropolitanate of Ungro-Wallachia with the following dioceses: Bucharest, Ramnic – the New Severin, Buzau, Arges, Tomis (Constanta); II. Metropolitanate of Moldova and Suceava, with the dioceses of Iasi, Roman, Husi and Lower Danube (Galati); III. Metropolitanate of Transylvania, with the dioceses of Sibiu, Arad, Caransebes, Oradea, Cluj; IV. Metropolitanate of Bukovina with dioceses of Cernauti, Hotin (Balti), and from 1938 also from Maramures (Sighet); V. Metropolitanate of Bessarabia with the dioceses of Kishinev and Cetatea Alba (Ismail). From 1921, there has been a Diocese of the Army (seated in Alba Iulia) and from 1934, the Missionary Diocese for the Romanians from America (seated in Detroit). The theological education developed quite extensively: Faculties of Theology in Bucharest (from 1881), Cernauti (1875) and Kishinev (1927), Theological Academies in Sibiu, Arad, Caransebes, Cluj and Oradea and other 8 Theological seminaries. A series of new church periodicals appeared besides the old ones: Biserica Ortodoxa Romana (Romanian Orthodox Church) and Studii Teologice (Theological studies) in Bucharest; Candela (Votive Light) in Cernauti; Revista Teologica (Theological Magazine) in Sibiu; Luminatorul (Luminary) and Misionarul (Missionary) in Kishinev, all of them as diocesan bulletins. The Romanian Orthodox Church from 1944-1989. After 1944, the Church has been gradually removed from the state life. In 1948 the religious education was removed from schools, the religious services in hospitals, old people’s homes and army were forbidden, the diocesan periodicals were abolished, the Faculty of Theology from Suceava was dissolved (the former one in Cernauti) and so were four theological Academies in Transylvania and Banat, as well as the theological seminaries of the dioceses in Muntenia and Moldova, while the catechisation of the youth ceased. Soon after 1944, more than one thousand Orthodox priests (plus Roman Catholics, Greek Catholics and Protestants) were arrested, put into prisons, sent to work at the Danube – Black Sea canal, or deported even to Siberia: some of them died there, while most of them were released only in 1964. Among those arrested were outstanding theologians, such as: Nichifor Crainic, Ioan Savin, Dumitru Staniloae, Liviu G. Munteanu, Ilarion Felea, Ion V. Georgescu (deported to Siberia) and many others; some Orthodox priests were shot dead. The former metropolitan of Bukovina, Visarion Puiu was sentenced to death in contumacy (+1964, in France). In 1959 a series of sketes and monasteries were dissolved, hundreds of monks and nuns were brutally taken out of these monasteries and sent to their families or in factories by the state authorities. During the last years of the communist dictatorship, more than 20 places of worship were demolished in Bucharest (the monasteries of Cotroceni, Vacaresti, Alba-Postavari, Enei, Spirea Noua, Izvor, Holy Trinity – Dudesti etc.). The licenses necessary for building or restoring certain churches were granted with great difficulty. Orthodox priesthood, in its entirety, was permanently watched over and controlled, through the so-called “inspectors of religious cults” and Security officers, always present in the religious institutions. Among the hierarchs in that period, one could mention, first of all, patriarch Justinian Marina (1948-1977), a good organiser and supervisor of the religious life in the conditions created after the World War II. He was succeeded by patriarch Iustin Moisescu (1977-1986), former professor at the Faculties of Theology in Warsaw, Cernauti and Bucharest, then metropolitan of Transylvania (1956-1957) and of Moldova (1957-1977). Starting with 1986 until 2007, our Church has been headed by patriarch Teoctist Arapasu, former assistant bishop, bishop of Arad, metropolitan of Oltenia, then of Moldova. Beginning with 30 September 2007, the patriarch of the Romanian Orthodox Church is His Beatitude Daniel, formerly assistant bishop to the Archdiocese of Timisoara and Metropolitan of Moldova and Bucovina. After 1948, most of the 12.000 Orthodox places of worship (churches, monasteries, sketes and chapels) throughout the country were restored through the donations of the faithful. 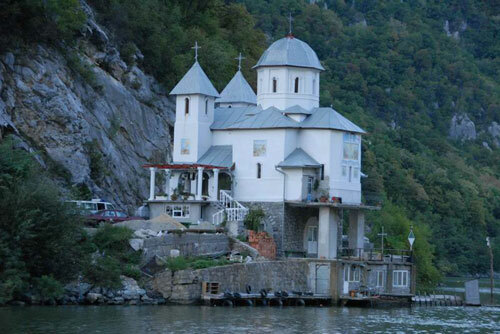 Most of the churches and monasteries declared historical monuments were also restored. At the same time, thousands new churches were built throughout the Romanian Patriarchate, some of them as real monuments of art. Relations have been also established with the old Oriental Churches (Patriarchate of Ethiopia, Armenian Catholicosate in Etchmiadzin, Coptic Patriarchate in Egypt and the Jacobite Syrian Church in Kerala- India), the Roman Catholic Church (especially with the Vatican and in Austria, Germany and Belgium), the Old Catholic Church, with the Anglican Church, as well as with a series of Protestant Churches. The Romanian Orthodox Church has been a member of the World Council of Churches since 1961. It sent delegations to the General Assemblies in New Delhi (1961), Uppsala (1968), Nairobi (1975), all of them headed by the then metropolitan of Moldova and Suceava, Iustin Moisescu (former member of the Central Committee until 1977) and to Vancouver (1983), headed by the Metropolitan of Transylvania Antonie Plamadeala. The events in December brought about a series of changes not only in the political and social life of the country, but also in the religious one. Soon after those events, our Church was faced with new challenges, which she would be obliged to face in the future too, but for which she was not prepared. For example, as far back as December 1989, the existence of the Catholic Church of Latin Rite (former Greek Catholic or United) was recognised; in March 1990, the Vatican appointed six Catholic bishops of “Latin Rite” and five others of “Greek Rite” or Oriental (for Blaj, Oradea, Lugoj, Cluj-Napoca and Baia Mare) without the previous approval of the Romanian state authorities. In 1991, the metropolitan of Blaj, Alexandru Todea, was raised to the rank of cardinal by the Pope. These hierarchs, as well as some priests who had not returned to Orthodoxy in 1948 or those ordained in the meantime, started an intense proselyte activity, in view of attracting Orthodox priests and faithful to the Catholic Church of Greek Rite. In spite of the fact that they have a small number of faithful (228,377 according to the census of 1992), yet they reopened Theological Academies in Blaj, Cluj-Napoca, Baia Mare and Oradea. During the first months of 1990, the legal existence of several neo-Protestant cults was recognised (as associations). All these cults started an intense proselyte activity among the Orthodox faithful, with the permanent material support from abroad and many persons engaged in proselyte activity who have come to our country to preach Christ, as if our people had not known Him for almost two thousand years. Nevertheless, the census in January 1992, presents the following confessional configuration of Romania: out of 22.760.449 inhabitants, 86,8% are Orthodox, 5% Roman Catholics, 3,9% Reformed, 1% Catholics of Greek Rite (“United”), 1% Pentecostals, 0,5% Baptists, the rest of the cults being under 0,5% (the atheists represent only 0,2%). As for the cultural field, we mention the setting up of new units of theological education, for the needs of the Church: Faculties of Theology in Iasi, Cluj-Napoca, etc., new seminaries (besides the six existent before 1989), in Galati, Ramnicu Valcea, Alba Iulia, Baia Mare, Suceava, Monastery of Agapia (for girls) etc; the entire higher theological education was included in the state university system in the respective cities and re-organised in several branches: Pastoral Theology, Didactic Theology, Social Theology; girls are admitted in all theological schools. A series of new periodic publications appeared in almost every diocese: Vestitorul Ortodoxiei (Herald of Orthodoxy) in Bucharest, Candela Moldovei (Votive Light of Moldova) in Iasi, Invierea (Resurrection) in Timisoara, Renasterea (Renaissance) la Cluj, Tomisul ortodox (Orthodox Tomis) in Constanta, Credinta strabuna (Ancient Faith) in Alba Iulia, Credinta romaneasca (Romanian Faith) in Baia Mare, Legea romaneasca (Romanian Law) in Oradea, Biserica si Scoala (Church and School) in Arad, Foaie diocezana (Diocesan Paper) in Caransebes, Calauza ortodoxa (Orthodox Guide) in Galati, Lumina lina (Light) in Arges, etc. The Church resumed its humanitarian activity from a different perspective, by setting up charitable associations to help the orphans, old and handicapped people, or by granting religious assistance in hospitals, orphanages and old people’s homes. The Church also maintains its foreign relations, by participating in the activity developed within the framework of the World Council of Churches, delegations of our Church participating in the proceedings of the 7th General Assembly (1991, Canberra, Australia), the 8th General Assembly (1998, Harare, Zimbabwe) and the 9th General Assembly (2006, Porto Alegre, Brasil). She participated, through her delegates, in various meetings of the Conference of European Churches, of certain Joint Commissions for Dialogue with some other Churches. Church delegations visited us several times, both from the sister Orthodox Churches, as well as Roman Catholic, Anglican and Protestant ones. Romanian synodal delegations, headed by the Head of the Church or by other hierarchs took turns in visiting other sister Orthodox Churches and other heterodox Churches. The Faculties of Theology established “relations of partnership” with Faculties abroad, especially with the Catholic and Protestant ones. In spite of the difficulties we are passing through, the hierarchs, theology professors and priests of the Romanian Orthodox Church continue their missionary, social and cultural activity in order to be worthy of their forerunners, whose memory they want to honour through an even more fruitful activity.